2 Utrecht Institute for Pharmaceutical Sciences, Department of Psychopharmacology, University of Utrecht, Utrecht, Netherlands. Objective To assess the clinical evidence on the effectiveness of any medical intervention for preventing or treating alcohol hangover. Data sources Systematic searches on Medline, Embase, Amed, Cochrane Central, the National Research Register (UK), and ClincalTrials.gov (USA); hand searches of conference proceedings and bibliographies; contact with experts and manufacturers of commercial preparations. Language of publication was not restricted. Study selection and data extraction All randomised controlled trials of any medical intervention for preventing or treating alcohol hangover were included. Trials were considered if they were placebo controlled or controlled against a comparator intervention. Titles and abstracts of identified articles were read and hard copies were obtained. The selection of studies, data extraction, and validation were done independently by two reviewers. The Jadad score was used to evaluate methodological quality. Results Fifteen potentially relevant trials were identified. Seven publications failed to meet all inclusion criteria. Eight randomised controlled trials assessing eight different interventions were reviewed. The agents tested were propranolol, tropisetron, tolfenamic acid, fructose or glucose, and the dietary supplements Borago officinalis (borage), Cynara scolymus (artichoke), Opuntia ficus-indica (prickly pear), and a yeast based preparation. All studies were double blind. Significant intergroup differences for overall symptom scores and individual symptoms were reported only for tolfenamic acid, γ linolenic acid from B officinalis, and a yeast based preparation. Conclusion No compelling evidence exists to suggest that any conventional or complementary intervention is effective for preventing or treating alcohol hangover. The most effective way to avoid the symptoms of alcohol induced hangover is to practise abstinence or moderation. These considerations emphasise the need for safe and effective preventive and therapeutic measures. A plethora of “hangover cures” is on offer.14–16 Searching the internet on www.Google.com (search term: hangover cure, accessed 20 Jan 2005) retrieved in excess of 325 000 hits. The box gives a flavour of what is on offer. The aim of this systematic review was to assess the clinical evidence on the effectiveness of any medical intervention for preventing or treating alcohol hangover. We searched Medline (1951 to January 2005), Embase (1974 to January 2005), Amed (1985 to January 2005), the Cochrane Library (issue 1, 2005), the National Research Register, United Kingdom (www.update-software.com/projects/nrr/—accessed 20 Jan 2005), and ClincalTrials.gov, United States (clinicaltrials.gov/—accessed 20 Jan 2005). We designed the search strategy to retrieve all articles on the topic (strategy: hangover, alcohol and hangover, hangover adj cure). In addition, we hand searched conference proceedings (FACT-Focus on Alternative and Complementary Therapies 1996-2005) and our own collection of papers and medical journals (Phytomedicine 1994-2005, Alternative and Complementary Therapies 1995-2005, and Forschende Komplementärmedizin Klassische Naturheilkunde 1994-2005). We also hand searched the bibliographies of all retrieved articles. We contacted six manufacturers of commercial preparations for alcohol hangover and five experts on the subject and asked them to contribute further studies. We imposed no restrictions on the language of publication. *Results from the first 20 websites retrieved by www.Google.com with the search term “hangover cure” (accessed 20 Jan 2005). We included all trials reporting that the sequence of allocation was randomised and testing any medical intervention for preventing or treating alcohol hangover. We included trials reported as placebo controlled or controlled against a comparator intervention. Titles and abstracts of identified articles were independently assessed and hard copies of all potentially relevant articles were obtained for further evaluation (MHP, EE). We used the system developed by Jadad to evaluate methodological quality.17 Two authors (MHP, EE) independently assessed the quality of trials. MHP and JCV abstracted data systematically and independently according to design, quality, sample size, alcohol challenge, intervention and brand name, dose, results, adverse events, and control of lifestyle factors. We planned quantitative data synthesis but abandoned it because of the heterogeneity of the data. The literature searches identified 15 potentially relevant trials (fig).18–32 We also identified one unpublished study.25 We excluded seven publications because they were either not reported as randomised18–23 or did not test an intervention in a clinical trial.24 Eight trials met the inclusion criteria and were reviewed.25–32 These trials tested eight different conventional agents and dietary supplements (table). Disagreements during the assessments were settled by discussion. Four trials tested conventional agents: tropisetron, propranolol, tolfenamic acid, and fructose or glucose (table). One trial reported intergroup differences for an overall symptom score (P < 0.01).31 This trial tested the prophylactic effectiveness of tolfenamic acid, an inhibitor of prostaglandin biosynthesis. Each participant consumed alcohol in small groups and drank at his own pace. The amount of alcohol and food ingested was not measured. The overall symptom score and the individual symptoms headache, nausea, vomiting, thirst, dry mouth, tremor, and irritation were significantly reduced compared with placebo. Three other trials, which tested propranolol, tropisetron, and fructose or glucose, reported no beneficial intergroup differences. Future studies should also investigate the biological changes that occur during alcohol hangover. The trial of O ficus-indica reported that the extract had some effects on individual symptoms, which received some media attention.27 35 The authors suggested that O ficus-indica exerts its action by acting on prostaglandin synthesis and cytokines that are deregulated during alcohol hangover.36 This view is supported by the improvement reported for tolfenamic acid,31 a potent inhibitor of prostaglandin synthesis. However, other data also reported beneficial effects for pyritinol, a nootropic agent that seems to enhance cognitive performance, and Liv.52, an Ayurvedic herbal preparation containing eight extracts with possible effects on alcohol metabolism.18 19 These agents seem not to act directly on the prostaglandin system. Future studies should disentangle the pathology of alcohol hangover to enable the development of effective hangover interventions. Ethical concerns may relate to research in this area. It is conceivable that positive trials might lead to considerable media interest and industry marketing, which ultimately might lead to an increase in alcohol consumption. However, little evidence exists to show that alleviation of hangover symptoms results in increased alcohol consumption.1 Conversely, no conclusive evidence shows that hangover effectively deters alcohol consumption. Limitations of our review pertain to the potential incompleteness of the reviewed evidence. We aimed to identify all randomised controlled trials on the topic. The distorting effects on systematic reviews arising from publication bias and location bias are well documented.37–40 For this study we searched databases with a focus on the American and European literature and those that specialise in complementary medicine, and we included hand searches. We imposed no restrictions on language of publication, and the two reviewers independently appraised the clinical evidence. We are therefore confident that our search strategy located the published trials on the subject. However, whether we identified all unpublished trials has to remain uncertain. Our findings show that no compelling evidence exists to suggest that any complementary or conventional intervention is effective for treating or preventing the alcohol hangover. Future studies should investigate the biological changes that occur during alcohol hangover. Until the pathology of alcohol hangover is understood in more detail, an effective intervention is likely to remain elusive. The most effective way to avoid the symptoms of alcohol induced hangover is thus to practise abstinence or moderation. Contributors MHP conceived and designed the study. All authors contributed to analysing and interpreting the data. MHP and JCV drafted the article, and all authors critically revised it for important intellectual content and approved it for publication. EE is the guarantor.
. The alcohol hangover. Ann Intern Med 2000; 132: 897902.
. The alcohol hangover. Ann Intern Med 2001; 134: 5334.
. Extent and costs of alcohol problems in employment: a review of British data. Alcohol Alcohol 1987; 22: 3215.
. Binge drinking on rise in UK and elsewhere: government report shows increases in alcohol consumption, cirrhosis, and premature deaths. Lancet 2003; 362: 11267.
. Costs of alcohol and drug abuse in the United States, 1992. Stat Bull Metrop Insur Co 1999; 80: 29.
. Alcohol intake and sickness absence: a curvilinear relation. Am J Epidemiol 2002; 156: 96976.
. The effects of alcohol hangover on cognitive functions in healthy subjects. Int J Neurosci 2003; 113: 58194.
. Alcohol hangover effects on memory functioning and vigilance performance after an evening of binge drinking. Neuropsychopharmacology 2003; 28: 7406.
. Hangovers. BMJ 1997; 314: 23.
. College binge drinking in the 1990s: a continuing problem. J Am Coll Health 2000; 48: 199210.
. Alcohol consumption and mortality: modelling risks for men and women at different ages. BMJ 2002; 325: 1914.
. Binge drinking and ambulatory blood pressure. Hypertension 1999; 33: 7982.
. Alcohol sales and fatal alcohol poisonings: a time-series analysis. Addiction 2002; 97: 103740.
. Xmas excess in Essex. http://www.bbc.co.uk/essex/students/student_savvy/xmas_xcess.shtml (acccessed 20 Jan 2005).
. http://www.4-men.org/mens-health/ru-21.html (acccessed 20 Jan 2005).
. Assessing the quality of reports of randomized clinical trials: is blinding necessary? Control Clin Trials 1996; 17: 112.
. Alcohol-induced hangover: a double-blind comparison of pyritinol and placebo in preventing hangover symptoms. Q J Stud Alcohol 1973; 34: 1195201.
. Alcohol hangover and Liv.52. Eur J Clin Pharmacol 1991; 40: 1878.
. Alcohol intoxication and hangover: modification of hangover by chlormethiazole. Psychopharmacology (Berl) 1980; 69: 11725.
. Effect of Bacillus natto-fermented product (BIOZYME) on blood alcohol, aldehyde concentrations after whisky drinking in human volunteers, and acute toxicity of acetaldehyde in mice. Arukoru Kenkyuto Yakubutsu Ison 1995; 30: 6979.
. Effects of hangover on psychomotor skills related to driving: modification by fructose and glucose. Acta Pharmacol Toxicol (Copenh) 1976; 38: 20918.
. Alcohol hangover and managerial effectiveness. Alcohol Clin Exp Res 1995; 19: 11416.
. GLA effectively reduces hangovers. Pharma Nord Research, unpublished report.
. Effectiveness of artichoke extract in preventing alcohol-induced hangovers: a randomized controlled trial. CMAJ 2003; 169: 126973.
. Effect of Opuntia ficus indica on symptoms of the alcohol hangover. Arch Intern Med 2004; 164: 133440.
. A double-blind placebo-controlled study on the effects of Morning Fit on hangover symptoms after a high level of alcohol consumption in healthy volunteers. J Clin Res 1999; 2: 915.
. Tropisetron and hangover. Addict Biol 1997; 2: 4612.
. Propranolol for the treatment of the alcoholic hangover. Am J Drug Alcohol Abuse 1987; 13: 17580.
. Hangover headache and prostaglandins: prophylactic treatment with tolfenamic acid. Cephalalgia 1983; 3: 316.
. Effects of fructose and glucose on ethanol-induced metabolic changes and on the intensity of alcohol intoxication and hangover. Eur J Clin Invest 1976; 6: 93102.
. Assessing websites on complementary and alternative medicine for cancer. Ann Oncol 2004; 15: 73342.
. Development and initial validation of the hangover symptoms scale: prevalence and correlates of hangover symptoms in college students. Alcohol Clin Exp Res 2003; 27: 144250.
. Cactus eases hangover sting. BMJ 2004; 329: 10.
. Effects of alcohol hangover on cytokine production in healthy subjects. Alcohol 2003; 31: 16770.
. The existence of publication bias and risk factors for its occurrence. JAMA 1990; 263: 13859.
. Bias in location and selection of studies. BMJ 1998; 316: 616.
. Alternative therapy bias. Nature 1997; 385: 480.
. 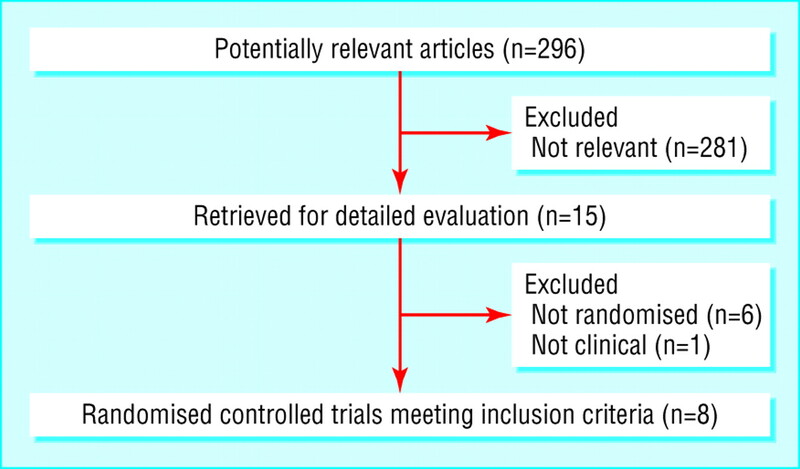 Location bias in controlled clinical trials of complementary/alternative therapies. J Clin Epidemiol 2000; 53: 4859.